Morocco’s first earth observation satellite, the Mohammed VI-A Satellite, was successfully launched into orbit at the early hours of this Wednesday from the European space port of Kourou in French Guiana using an Italian Vega rocket. Thousands of Moroccans remained stuck before their computers or cellphones to follow on arianespace website this landmark event and the various phases of the mission live, from take-off to the separation of the satellite. Details on the trajectory, speed, and position of the satellite were given by the station, which also aired a documentary film on Morocco, showing breathtaking landscapes, industrial facilities and tourist sites. The main purpose of the satellite consists in monitoring what is happening on Morocco’s surface area around the clock, with a high quality resolution. The satellite is capable of observing a broad band of some 800 km and is expected to “hover” at 695 km above the surface of the earth. 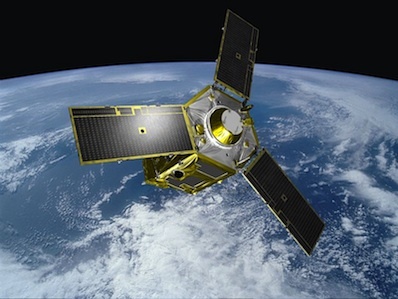 The Mohammed VI-A satellite will be used primarily for mapping and land surveying activities, spatial planning, monitoring of agricultural activities, prevention and management of natural disasters, and monitoring of environmental changes and desertification. It will also strengthen the capacities of national agencies in charge of monitoring road infrastructure, transport networks and the coastline, which extends over 3000 km. The space-based imaging system, piloted from Morocco, will play a key role in the implementation of national socio-economic development strategies, primarily those relating to the agricultural sector, which is a core sector in the country’s economy. The satellite will thus enable Morocco to manage better its forestry and pastoral resources; as well as its water resources, besides facilitating groundwater prospecting. It will likewise offer environmental applications that will help the North African country consolidate its environmental strategy and honor its environmental commitments and will serve as an early warning system monitoring weather conditions and potential disasters. Morocco’s entry into the satellite era will also offer new perspectives in the field of spatial planning, through effective monitoring of housing and construction, and a subsequent tighter follow-up of slums eradication operations. The Mohammed VI-A Satellite was built by Thales Alenia Space as system prime contractor and Airbus as co-prime, for a cost worth some €500 million. The North African kingdom has thus become the third country in Africa, after Egypt and South Africa, to have its own satellite. Morocco will reportedly acquire another satellite in 2018. The two satellites can take up to 500 very high definition photographs a day and send them to a station near Rabat-Sale airport every six hours.